Get the latest news. Contact us to learn more about Eucon and our solutions for digitalized processes. Several members of the product and price management teams of Mahle Aftermarket GmbH participated in a PartsPool® training session at the company headquarters in Stuttgart on 20 March 2019. For this event, the development partner and automotive supplier had registered the 1,000th participant in a PartsPool® training of the Training Academy. On this occasion, Petra Strucken, trainer at Eucon GmbH, ceremoniously presented the Training Academy Award to the winner. “We are very happy about this acknowledgement. As a long-standing Eucon customer, we have already taken part in a number of PartsPool® training courses and are always thrilled by the professionalism and the added value of the training“, says Volker Bäuerle, Head of Pricing & Business Analysis EMEA at Mahle Aftermarket GmbH. The Training Academy offer is a well-established service for Eucon customers. While new PartsPool® users are trained quickly and efficiently, experienced PartsPool® users also benefit from the schemes. The training provides suggestions and tips on how to even better embed the range of PartsPool® functions into their workflow. “Even as a seasoned and very active PartsPool® user, I can highly recommend the training. The sessions reveal areas in my daily work where I still don’t use PartsPool® efficiently enough, and convey how to make best use of all the functions. 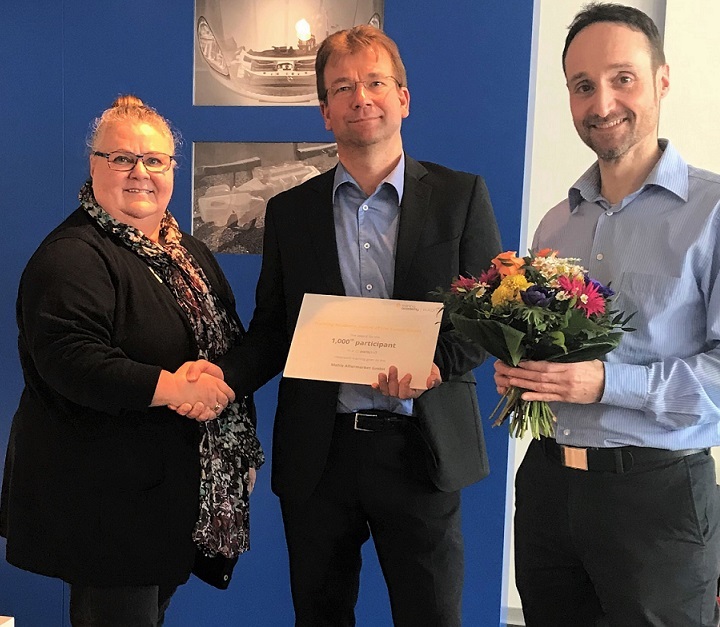 The presentation of new approaches is therefore not only valuable for me, but offers added value for the entire company“, explains training participant Matthias Haug, Pricing Specialist at Mahle Aftermarket GmbH. PartsPool® training courses enjoy a long tradition at Eucon. Petra Strucken, Training Specialist at Eucon GmbH, has been offering PartsPool® training on different themes throughout Europe for seven years now. Her experience and in-depth knowledge of PartsPool® allows her to individually and competently address different use cases in companies and to reach out to all participants, regardless of their level of knowledge. “In addition to giving practical advice and recommendations, I make sure to give examples in order to enable my participants to utilize the training contents directly in the software, so they can sustainably apply the insights in their companies“, says Ms. Strucken in describing the training concept. What is more, the training courses aim to collect ideas and wishes but also customer feedback on our services, in order to include them in the further development of PartsPool®. If you are interested, we are happy to provide you with more information about our course offerings.